The author of a proposal to abolish the Legislative Audit Bureau said the move didn’t have anything to do with scathing audits of the Wisconsin Economic Development Corporation. “This was not in response to anything having to do with WEDC other than that this is targeting bad behavior and spending abuses by any state agency,” said state Rep. David Craig, R-Big Bend. The proposal, unveiled on Monday, has taken criticism from both sides of the aisle, with Democrats accusing Craig of retaliating against the audit bureau and some Republican leaders defending the nonpartisan government watchdog. Assembly Speak Robin Vos, R-Burlington, has said he won’t support the bill in its current form. And the co-chairs of the Legislature’s Audit Committee have spoken out against dismantling the bureau. Government watchdog groups have blasted the proposal as well. Craig said of the criticism, "It's nothing that I didn't expect." He also said he wants to introduce the proposal during the current budget process. "I think this is a budget-related conversation that we need to have," he said. The Legislative Audit Bureau has released audits of WEDC, a quasi-public job creation agency chaired by Gov. Scott Walker, alleging widespread mismanagement and mishandling of funds. Craig wants to replace the LAB with a system of inspectors general assigned to large state agencies that would practice ongoing vigilance that he said would hopefully prevent the kinds of problems uncovered at WEDC. He said he is open to discussing changes to the proposal, such as keeping the audit bureau and installing inspectors general as a proactive measure. His proposal would also put the appointments of the inspectors in the hands of a joint legislative committee, currently controlled by Republicans, which has generated criticism that it would politicize the audit process. 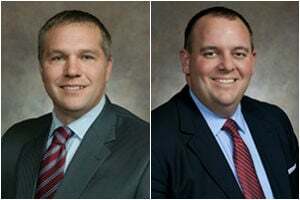 But Craig said the process for appointing the inspectors would be the same as the one currently used to select directors for the Legislative Audit Bureau, the Legislative Reference Bureau, which provides research services for the Legislature, and the Legislative Council, which provides staff for legislative committees. Craig said he has garnered some support for the bill. Adam Jarchow, R-Balsam Lake, has signed on as a co-sponsor, and Craig said he has a week to line up others. “I would expect introduction shortly thereafter,” he said.